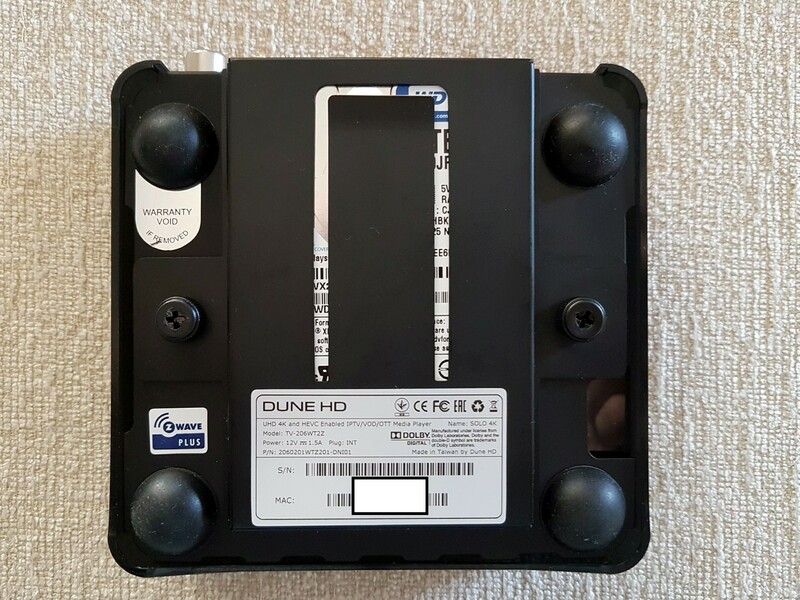 At last we have the latest gen release from Dune HD in our hands for a test. 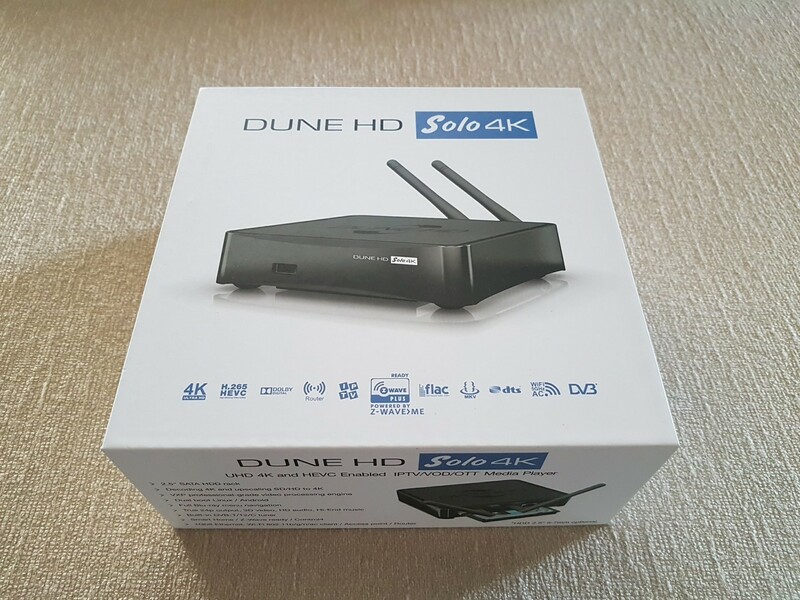 The Dune Solo 4K model is upgraded in many key areas compared to the previous generation and is packed with many premium features. Let’s see if it performs accordingly and justifies the semi-premium price. Solo 4K arrived in a white box. Inside you will find the media player itself, the detachable antennas for the Wi-Fi, an HDMI cable, the remote, the power adapter, the IR expansion cable, an A/V (3xRCA) cable, wall mounting kit and batteries for the remote alongside with basic documentation. Specs wise, Solo 4K couldn’t be equipped better. The latest Sigma Designs SoC SMP8758 with the VXP video processor promise enhanced image quality and 4K compatibility (HEVC, H.265 Hi10p video encoding supported). 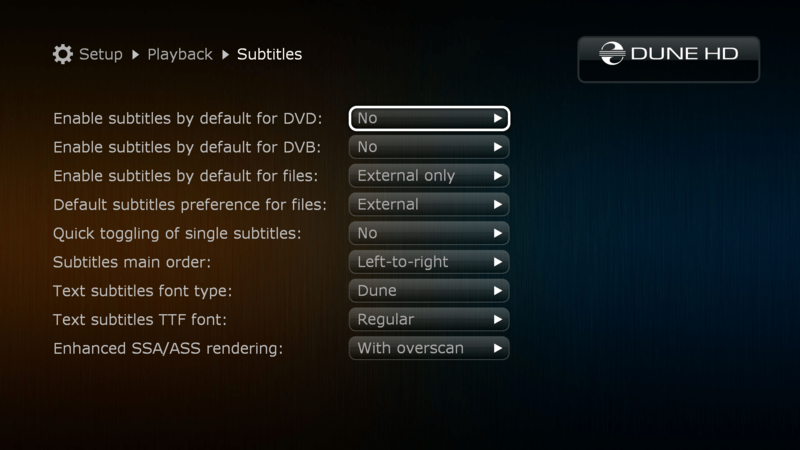 Full BLU RAY menus/playback are supported (DUNE HD is the only company with such an option) alongside with full compatibility of HD AUDIO bit streaming (Dolby ATMOS included). 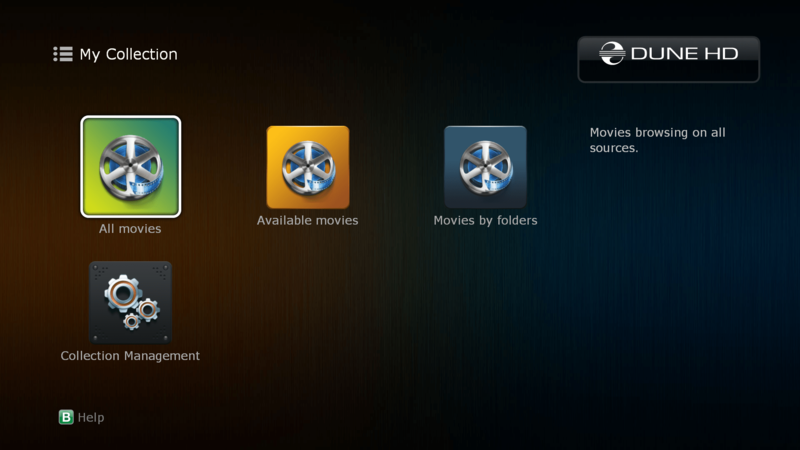 As expected it is 3D compatible by supporting all available formats (3D.ISO, MVC, SBS , Top to Bottom). To all of the above add the auto frame rate switching and you have a grade-A list of video features. 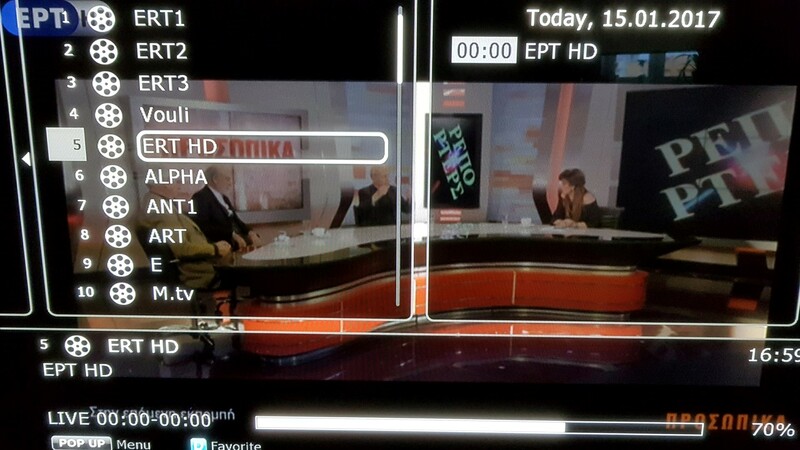 Another added feature not usually found in media players is DVB-T/T2 tuner implementation with full support of HD-Channels. Solo 4K also sports some premium options. An IR extender is included and can be used in cases you wish to hide the media box and the Z-Wave compatibility for automation systems cannot be found elsewhere easily. Furthermore, you can use it as an access point if you connect it first to a wired LAN. I/Os are also rich, with 2xUSB 2.0, 1xHDMI 1.4b (no HDR), A/V output that can be transformed into coaxial out, DVB-T/T2 RF in, IR port, dual antennas, and the RJ45 LAN port with Gigabit support. At the bottom of the player you can easily mount a 2.5” HDD up to 7mm height. The Solo 4K model has a different design compared to its predecessors. Now it is square and relatively compact (almost half the size of the Smart series). Although it is now made of plastic, it has a very robust build and it still has a premium feel. We still miss the round silver “legs” of previous generation players though. The external HDD can be mounted in a clever space saving manner at the bottom of the player. Two screws are needed for a perfect mount. When in use, a small blue light appears that does not distract at all. 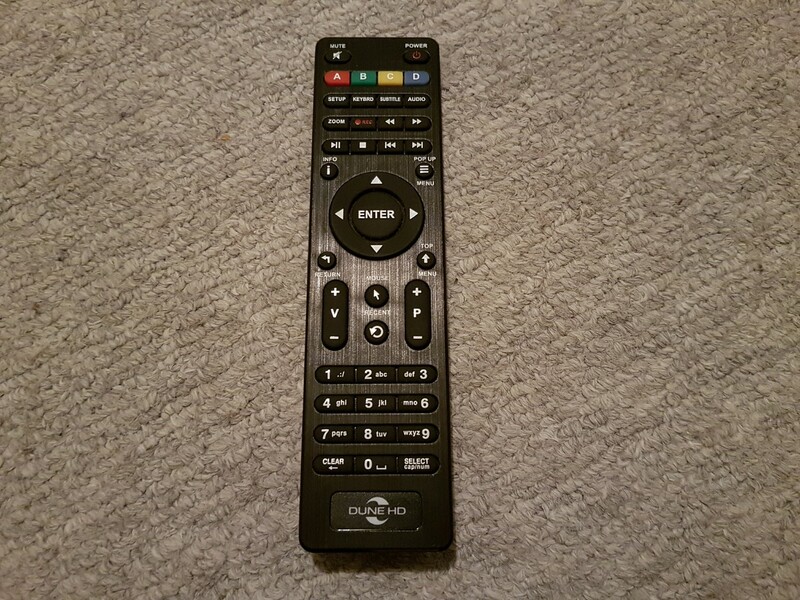 The remote is redesigned (all the previous models had the same one) and it has great grip and feel when in use. It features a numeric keypad and has all the buttons needed for the players functions (dedicated keys for DVB-T functions are included). Range is very good and the only thing missing is a back-lit feature. 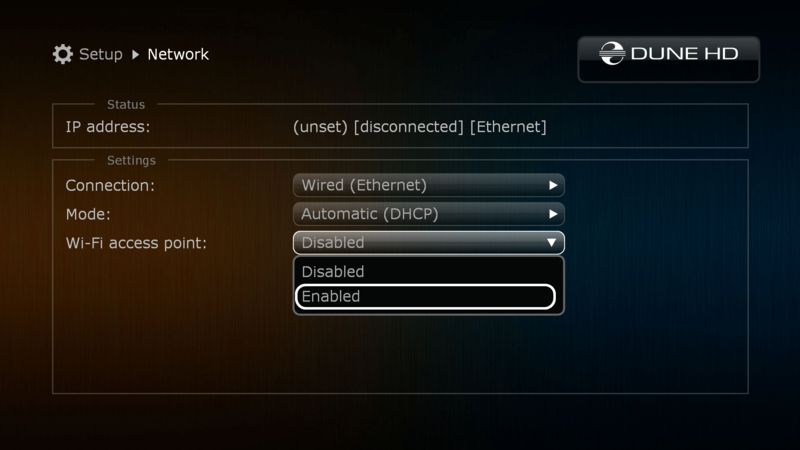 There is also an option to control the Solo 4K from a computer, as long as they are all connected to the same network. 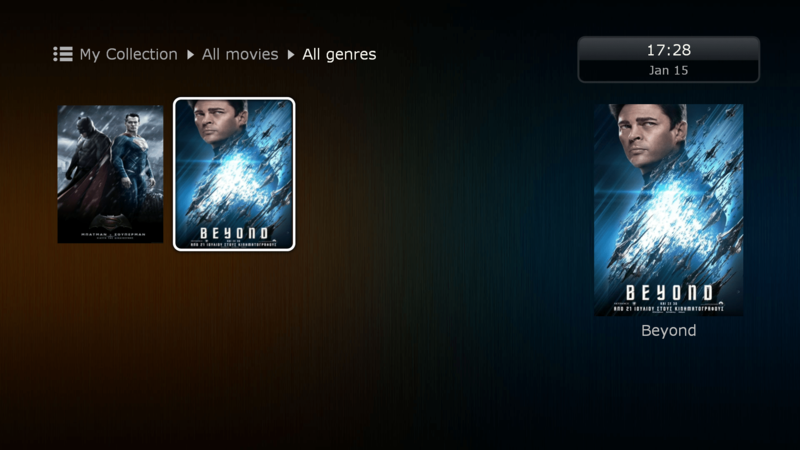 Solo 4K has the same menu style/navigation with its predecessors. This time the user interface experience is even better though due to some added options and redesign of almost all the icons. Browsing is also noticeably faster because of the new, faster SoC from Sigma Designs. An option/icon exist almost for every function of the player. 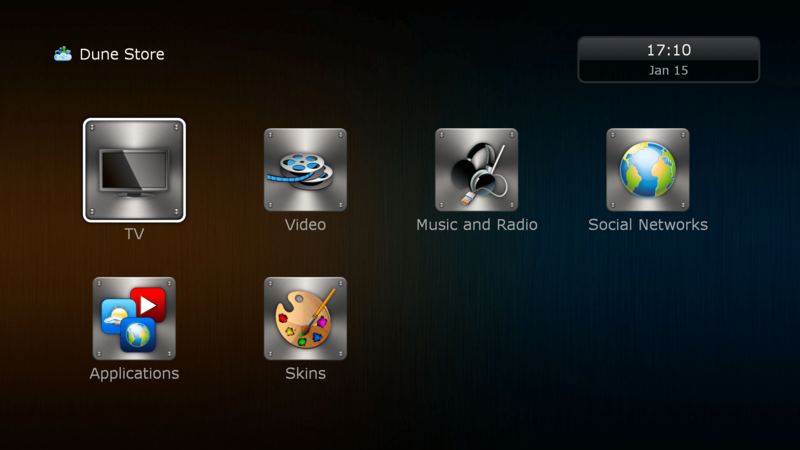 You can choose video, music, sources, setup, applications, dune store, social networks, games,DVB-T/T2 selection weather, movie collection (based on integrated scrapper) all from dedicated icons. This makes scrolling a bit longer but at the end it adds to the player’s functionality. 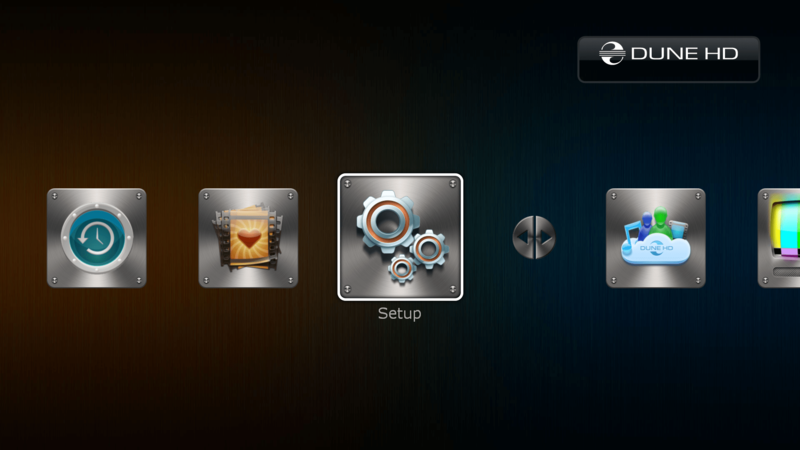 The Setup menu is probably one of the best we ever experienced in terms of number of options so that you can setup the player according to your setup and needs. Music files were no issue for the Dune as expected. But Dune players are mostly known for their video playback so let’s see how well it did. We will start from the shortcomings first. 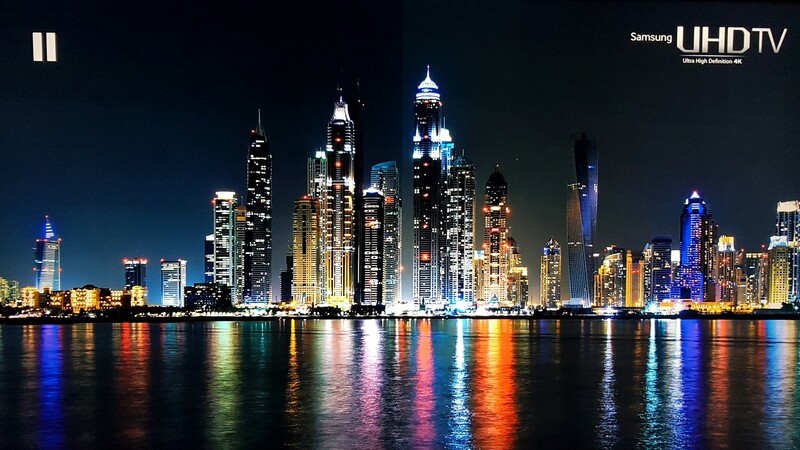 The most obvious one is the lack of HDR support. 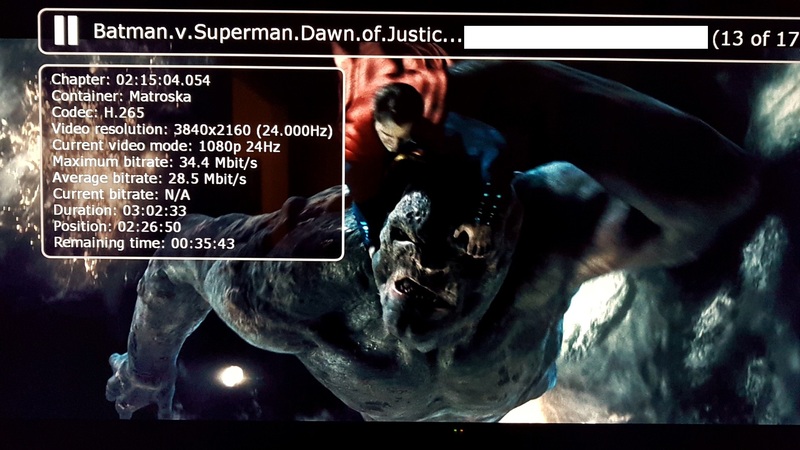 Now that 4K/HDR combo is well established (even in low cost android media boxes) Solo 4K starts with a big miss. 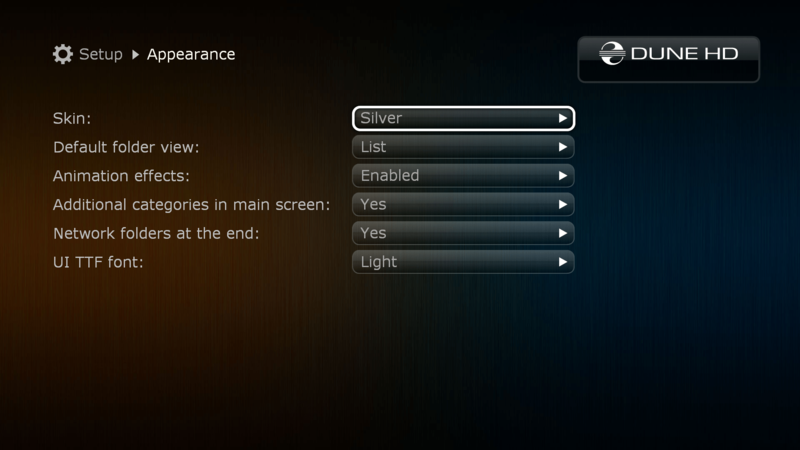 After June 2017 firmware update, it also supports HDR->SDR conversion (HDR can be enabled on your TV set if you select “forced on” from its menus).Certainly good news for future UHD playback of your movie backups. We can also add the inability to properly playback the majority of 4K@60fps files (hardware limitation). Fortunately, these file types are rare and not among the important ones (yet), with the exception of video camera recordings. Enough with the misses, let’s check the boxes that the Solo actually 4K “hits”. The 1080p material is handled extremely great. 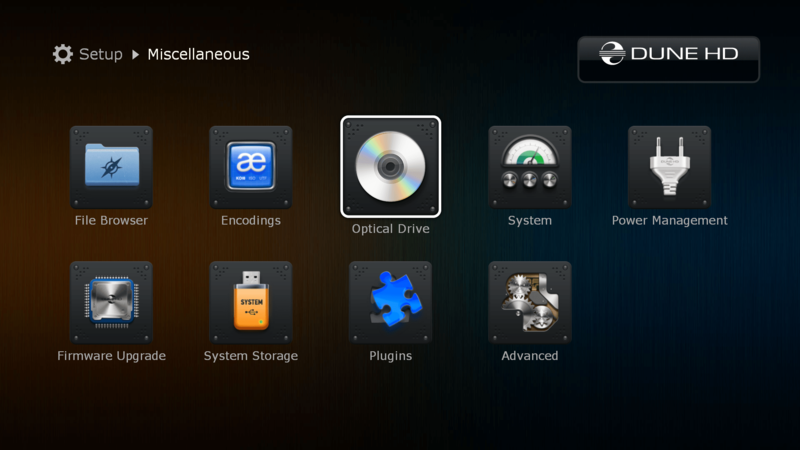 Perfect compatibility with all BLU RAYs, DVDs and their backups. 24p motion handling is excellent with no skipped or double frames. 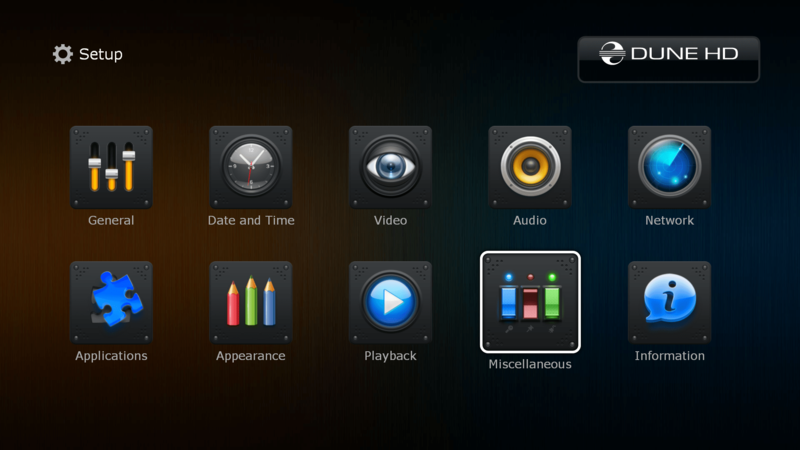 Full menus are supported (you can have quick playback with no menus if you wish) just like auto frame switching. You will never have to worry about jerky playback. 4K (non-HDR) file support and playback is also great (60fps limitation aside) for all popular encodings. 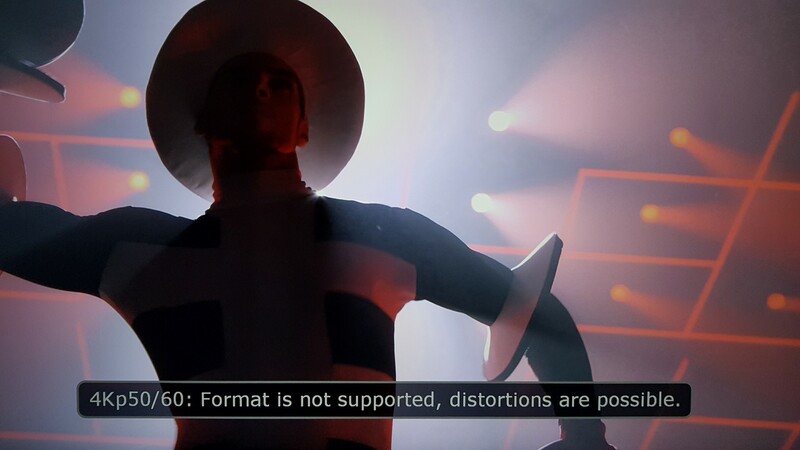 3D playback is also perfect with correct subtitle support (previous generation could not project 3D subs, only in 2D).MVC files are also supported. Older (SD) material will also be benefited from the superb (compared to the existing competition) upscaling engine. 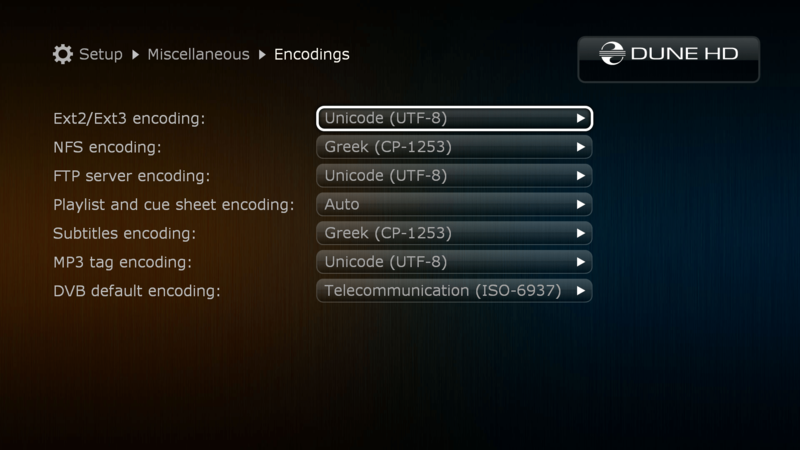 For each case, during playback the info button provides useful information regarding file’s details. Skipping, fast forward or rewind is as good and simple as it gets since you can use either the arrow buttons (left/right make 10 sec jumps, up/down make 1 min ones) or the numeric keys (press 8 and it will go to the 80% of the film’s length). 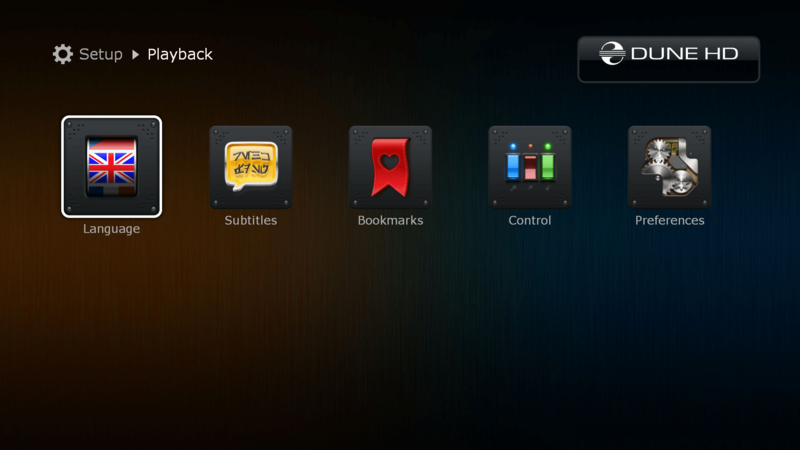 Subtitles (external) are also very easy to adjust (height, length, font, color, delay and size) from in movie options menu. Their font type is the classic one from previous generations and there is another one a little bit more… stylish. Our personal view is that none of them can match the ones found embedded in the original BLU RAYs (don’t worry, these appear normally). No issue though since both fonts are still very good and totally viewable. 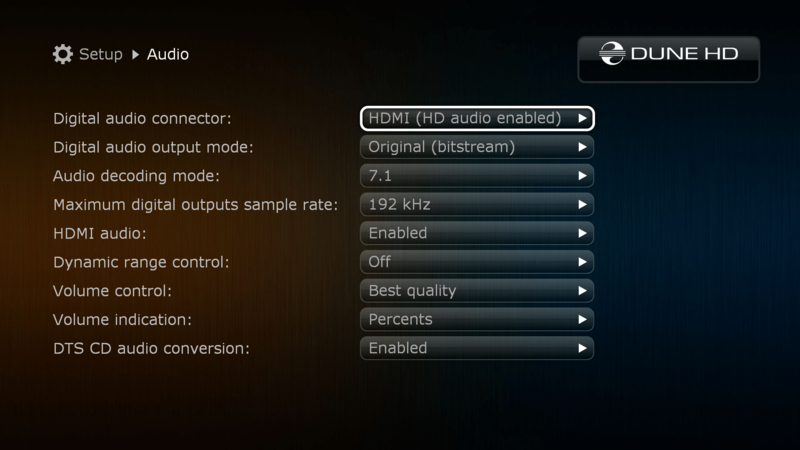 Results are also perfect when it comes to HD Audio bit-streaming. All popular audio formats (including Dolby Atmos) pass through perfectly. 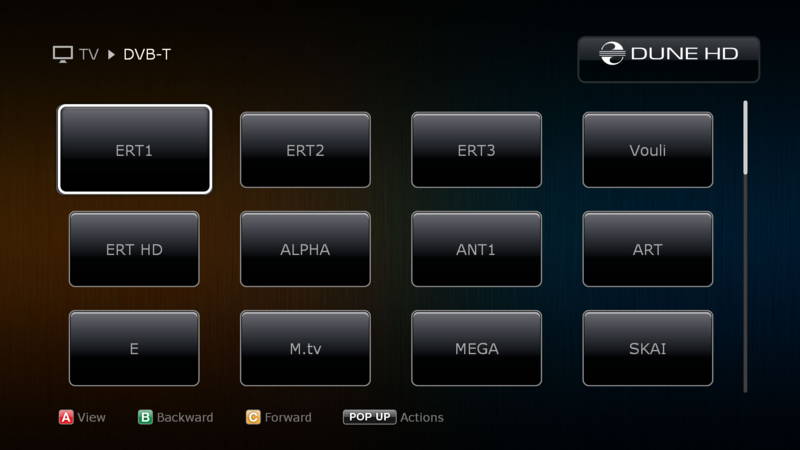 If you project to a TV screen, don’t worry, stereo downmix is also supported. For the first time a Dune product integrates a video processor. The VXP processor does quite a nice job but don’t max out all the settings if you don’t mind ending up with crashed blacks (in favor of a punchier image). With or without VXP’s engine, the image quality was perfect and equal to consumer dedicated devices of similar price range. When compared A-B to an HTPC (i5 – ATI RX470) we found that the image was exactly the same (with VXP off).Pure monitor out can only be considered as a very good thing. Wired LAN (Gigabit) performance was also excellent. Even the most demanding high bit-rate BD.iso backups had perfect playback. Wi-Fi was a nice surprise though. 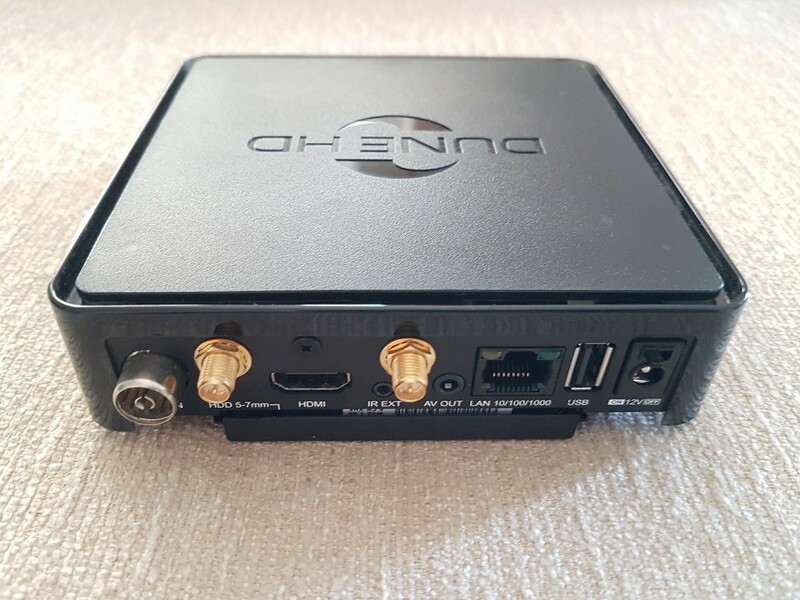 We have seen many other media boxed with AC protocol but Dune’s two antenna solution was by far the best. High bit-rate remux file playback was possible, just make sure you have a capable access point and good reception. Overall, 4K Solo’s performance can only be described as top notch, especially regarding video file support and playback. Dune’s support of DVB-T/T2 was no surprise since we were familiar with it from previous generations. This time the solution is integrated and not from a form of an external USB stick. 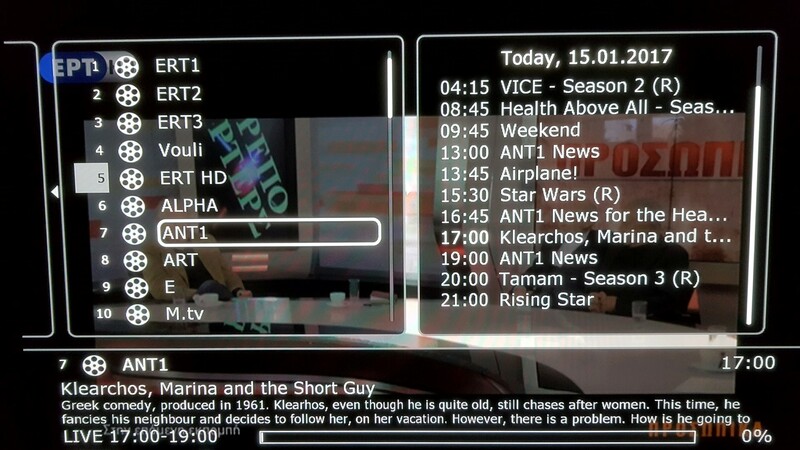 We were able to test the DVB-T part and the results were great. All channels were found, both SD and HD ones. Their picture quality was also very good and equivalent to similar dedicated boxes. 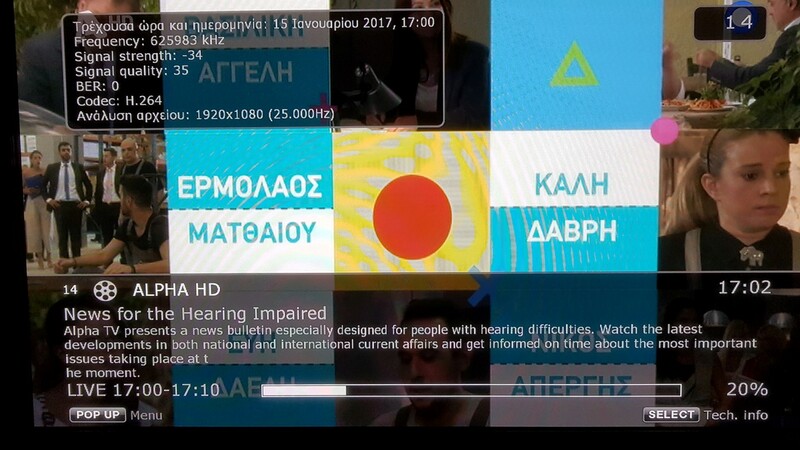 Channel/program information is supported (in English language) and from the information menu you can see the signal’s strength. 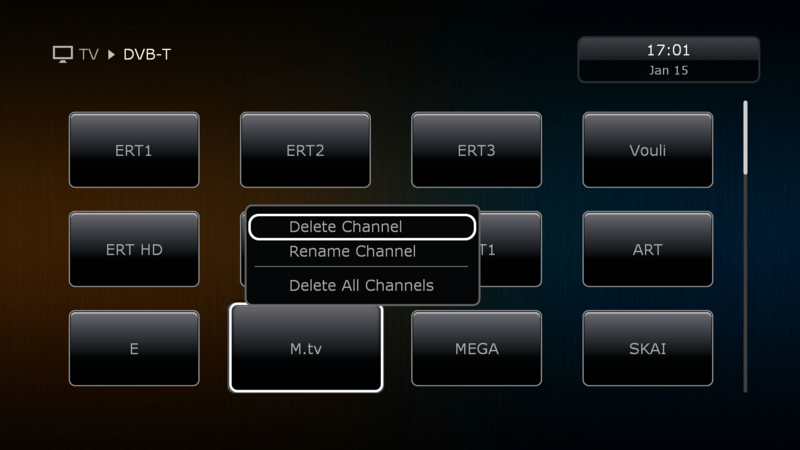 You can browse through channels easily from the center/select menu of the remote. 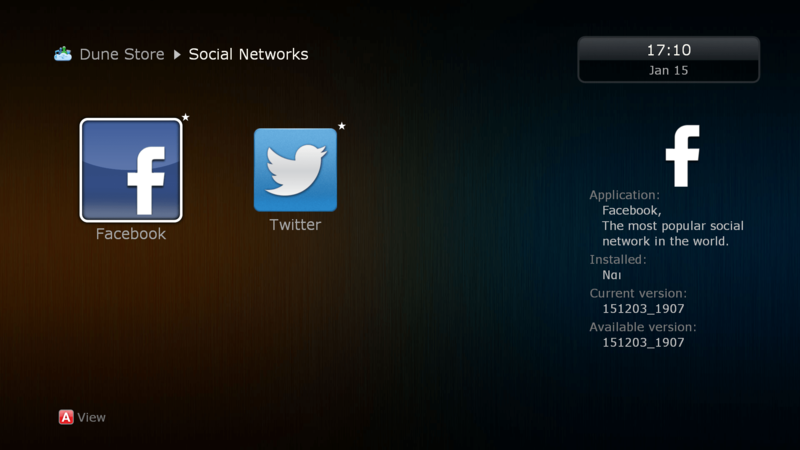 Dune has its own store supporting a number of applications. Most popular apps are there (YouTube, Facebook and Twitter) but the rest of them are targeted towards the Russian market. 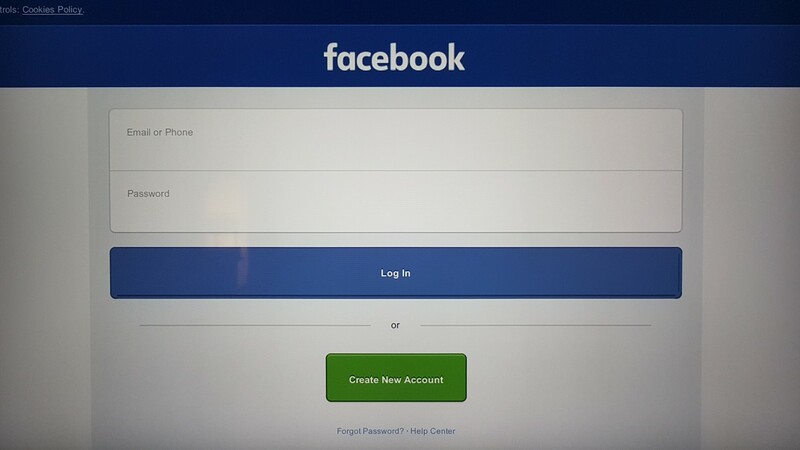 YouTube aside, we found the experience lacking, especially for Facebook and Twitter. It is better to use them only if you really have to and don’t have alternative ways since they are laggy and difficult to control from the remote. Same can be said for the web browser. Internet Radio is great though with many stations included from all genres around the globe. 4K Solo also has a brand new built-in movie scrapper. 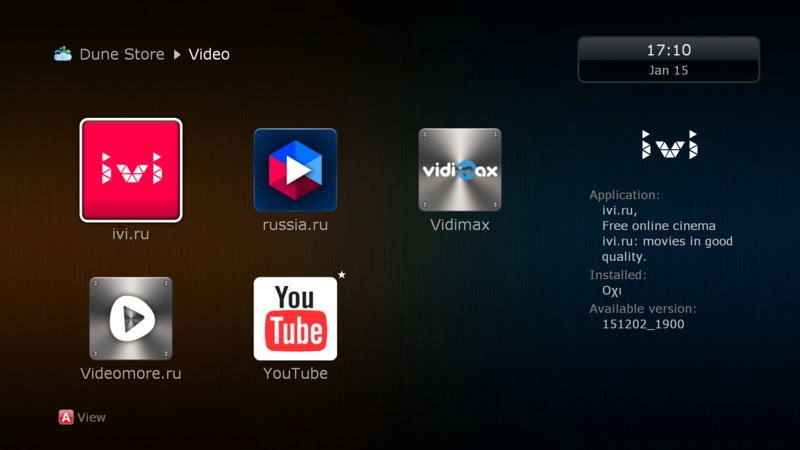 Just point the video folder and in a short time you will be able to see its index in a very beautiful way. In our case, no errors were found in film recognition and you still have the option to fix the results if they are not correct. 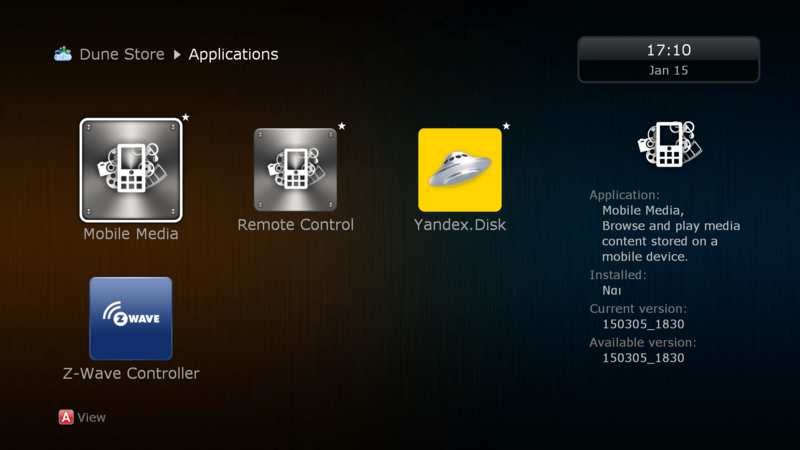 YADIS (external scrapper) is still supported of course. Support from the company was always great from Dune and now it is still the same. Many firmware versions have been released that fixed many issues of the initial ones (3D subs included) and you can rest assured that many more will come to fix the existing ones (nothing important worth to mention). 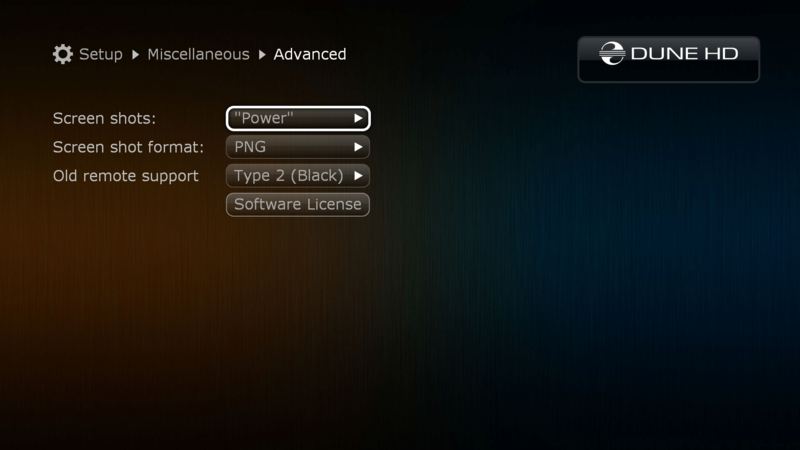 You are able to switch between firmware versions in case you prefer an older one. Dune 4K Solo is for sure the best premium video player around if you don’t want to mess with HTPC, MAD-VR settings, Windows OS, graphic cards and drivers. The semi-premium price tag (349€ in Europe) is justified if we consider premium features/options like BLU RAY menus, auto frame rate switching, HD Audio pass through, VXP video processor, DVB-T/T2 tuner, unmatched Wi-Fi performance, Gigabit Lan, external HDD bay, IR extender and Smart Home support. 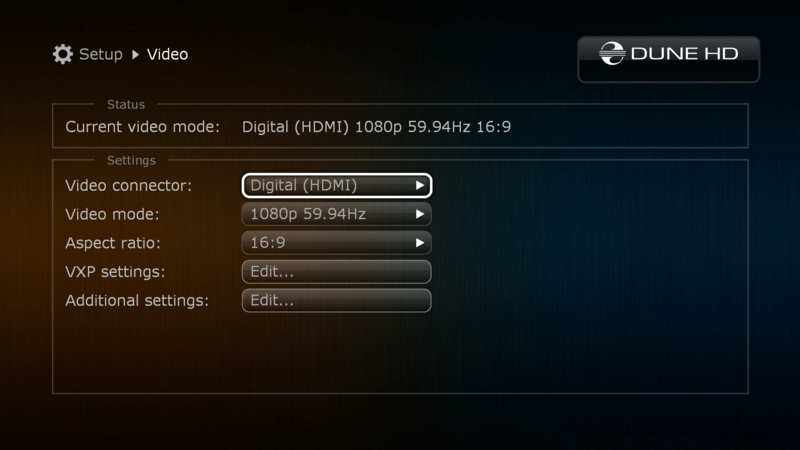 There are still some shortcomings like the lack of HDMI 2.0 (HDR), 4k@60fps support and some not so user friendly applications but Dune as a company never targeted towards these aspects (in a not so nice move, Dune HD decided to not support the Android implementation as was promised. 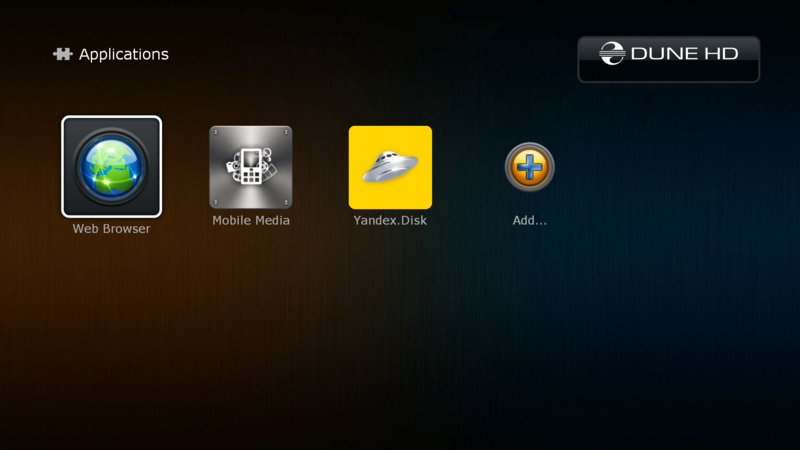 The android icon is still in the menus!) 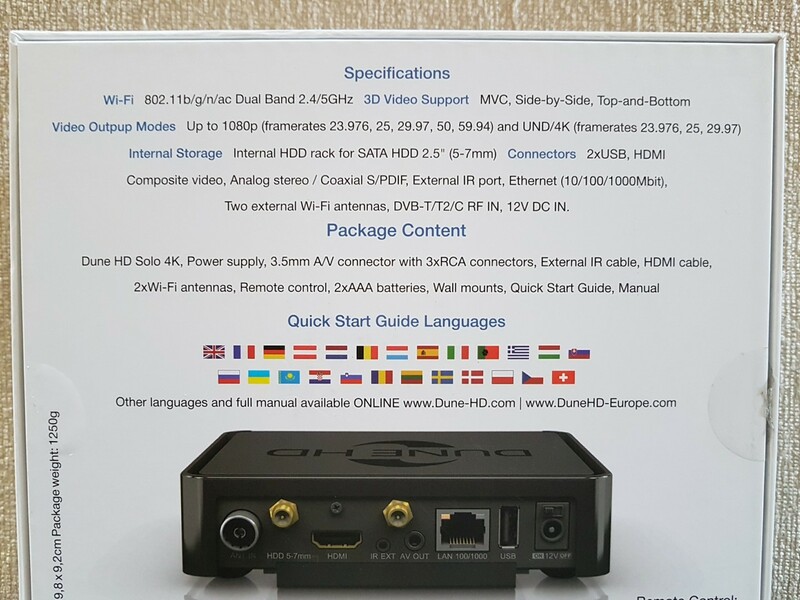 but a Dune HD box owner usually never paid attention to these. 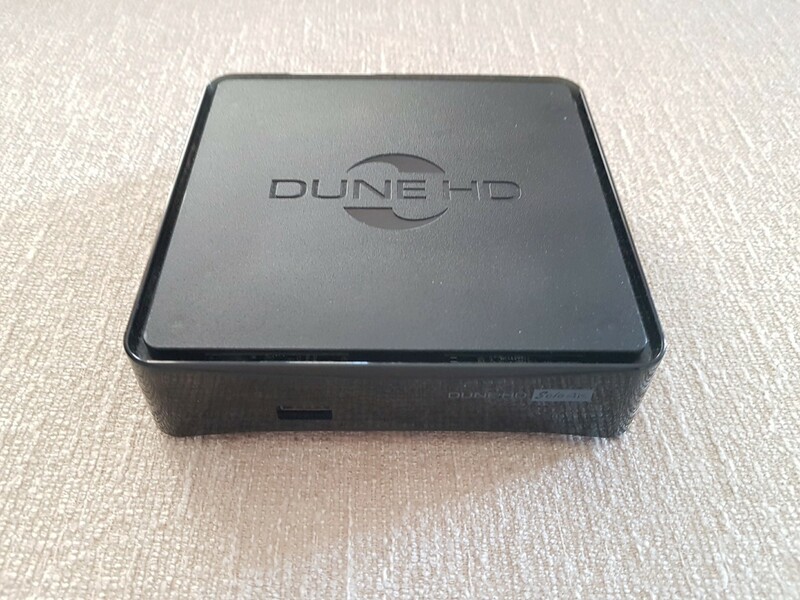 Dune HD 4K Solo is the best video player out there. No bells and whistles regarding other areas (apps, android, GUI) but where it counts (image quality, video playback and relevant features, stability, network, compatibility with popular formats) it is still the best one. We still believe the price is justified (consumers always paid more for few key extra features) but if you can live without the BLU RAY menus, DVB-T/T2 tuner, AC Wi-Fi with access point mode, integrated movie scrapper and Smart Home options, a Lite model is out there at almost half the price (199€) with the same performance. We hope that the next generation of Dune HD players (2018?) will fully support 4K (HDR and 60fps, it is still too early since there is still no option to have a UHD backup) and provide a better and wider set of available applications. Until then, Dune 4K Solo will probably remain the best available video player. There are similar spec’d boxes around but not with the full set of video options that the Dune offers.